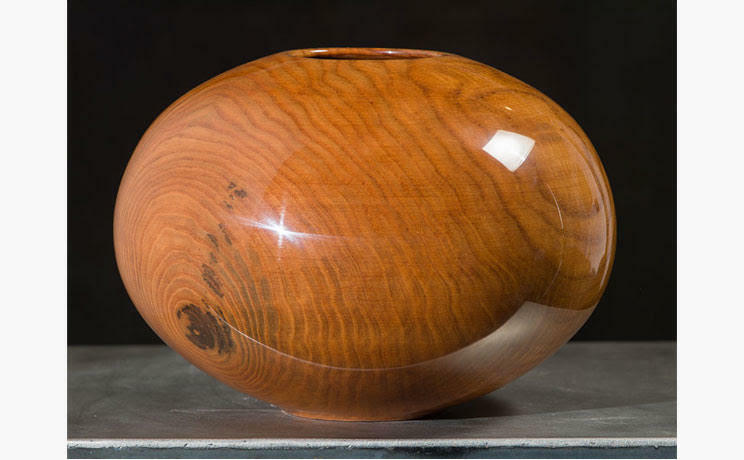 Philip Moulthrop is a wood turner, son of noted wood turner Ed Moulthrop and father of Matt Moulthrop. 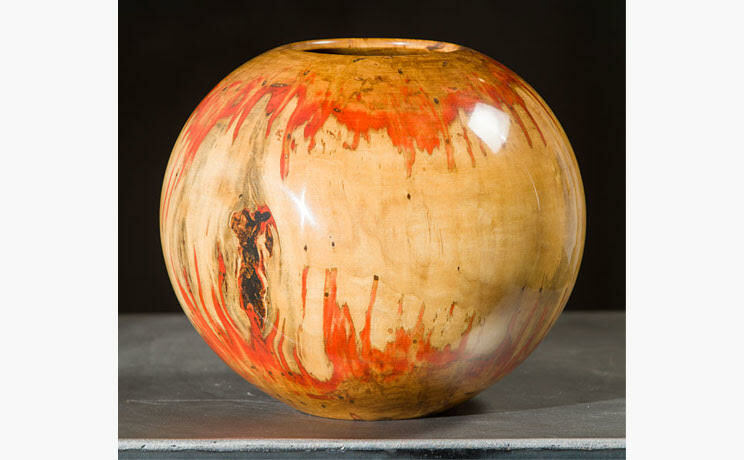 Although Philip Moulthrop began his professional career as a lawyer, he was interested in science and did his undergraduate work in chemistry and biology. 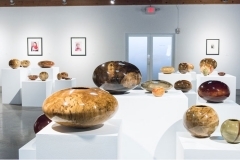 A veteran of the United States Navy, he served in Vietnam, where he became interested in photography. 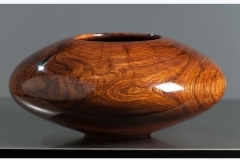 He graduated from Woodrow Wilson School of Law in 1978, then specialized in insurance and construction law. Philip started learning the ways of wood from his father, acclaimed turner Ed Moulthrop, when he was about ten, but he moved on to other passions. 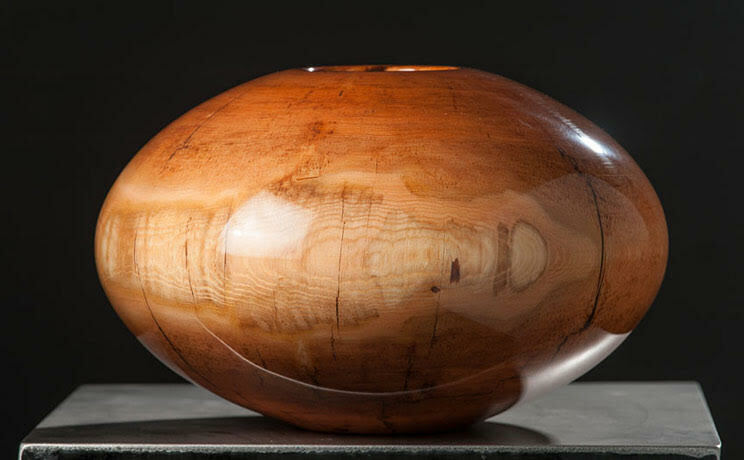 Over time he was drawn back to wood, and in the mid-’70s he left his law practice to work as a full-time turner alongside his father. 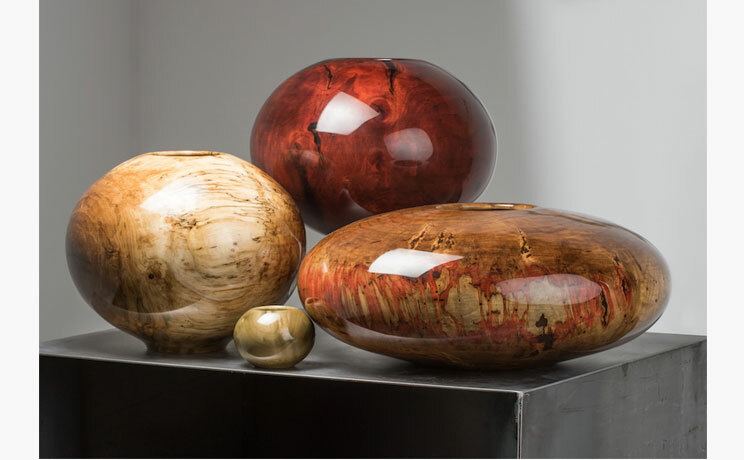 They would later be joined by Philip’s son Matt. 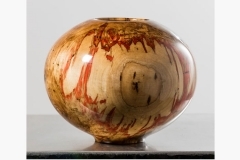 Philip’s work is in many major museum, private and corporate collections, and the Moulthrop family has been featured in countless newspaper and magazine articles. 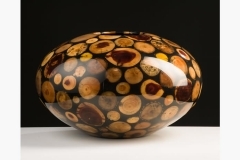 They were also featured in the PBS series, Craft in America. 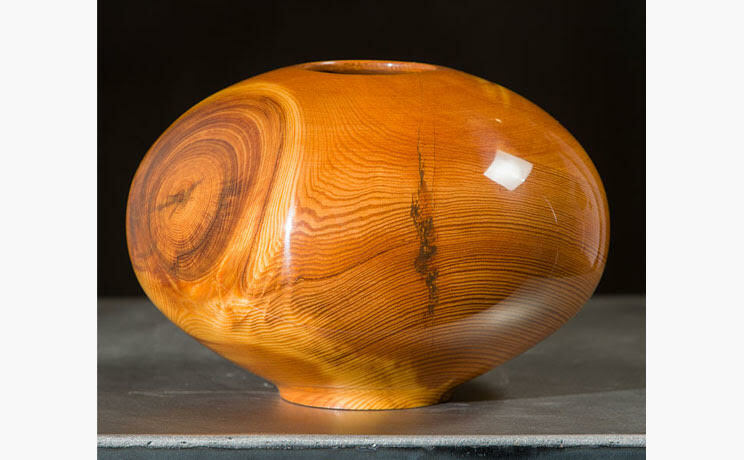 Philip Moulthrop approaches his practice with the goal in mind to reveal the beauty and texture found in wood. 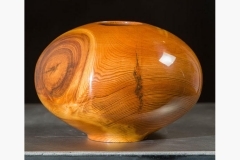 He uses wood from trees native to his home in the southeastern United States. 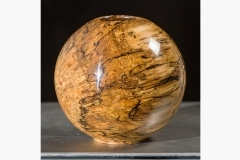 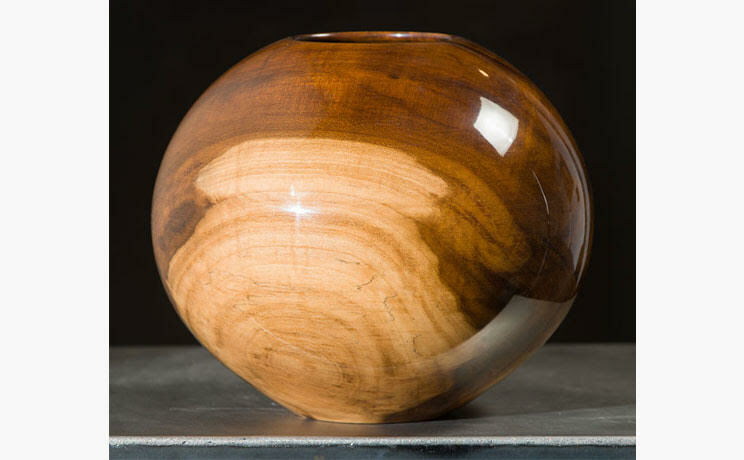 These are not exotic woods, however, they possess a richness to the grain and figure, which is often overlooked. 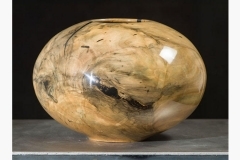 The process of transforming the log into the finished bowl is a multi-month process, consisting of first evaluating the wood and carving it into a rough shape, soaking it in a solution for several months to prevent cracking, a one-month drying period, and lastly is turned again on the lathe and hollowed out to achieve its final form. 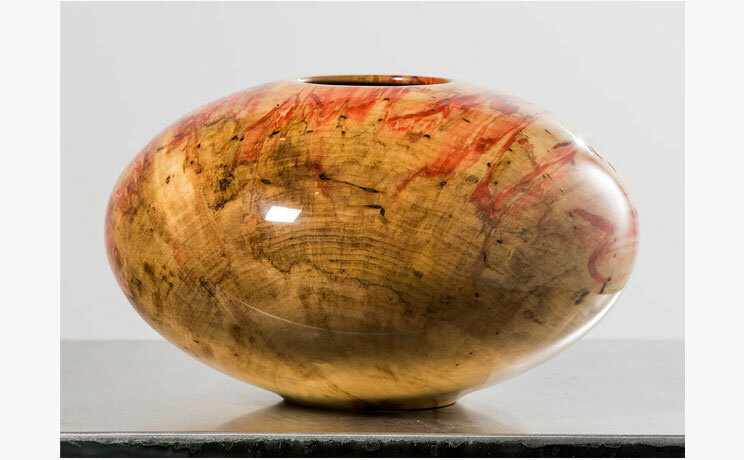 Philip Moulthrop was born in 1947 in Atlanta, Georgia. He started his professional life working as a lawyer. 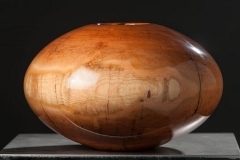 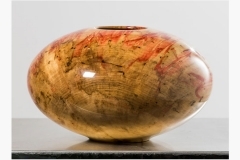 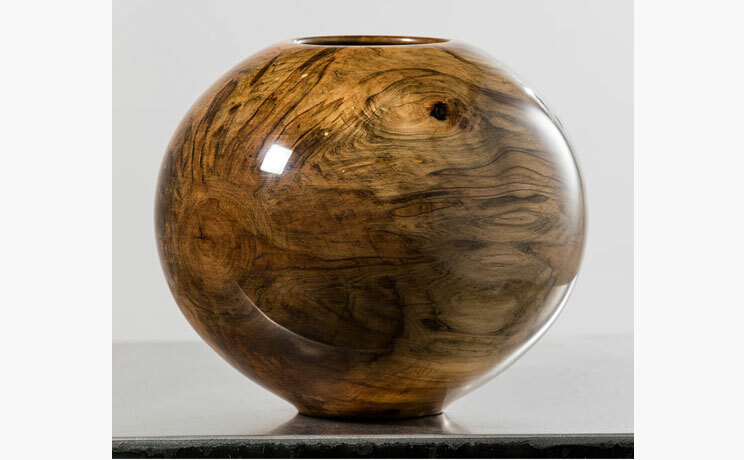 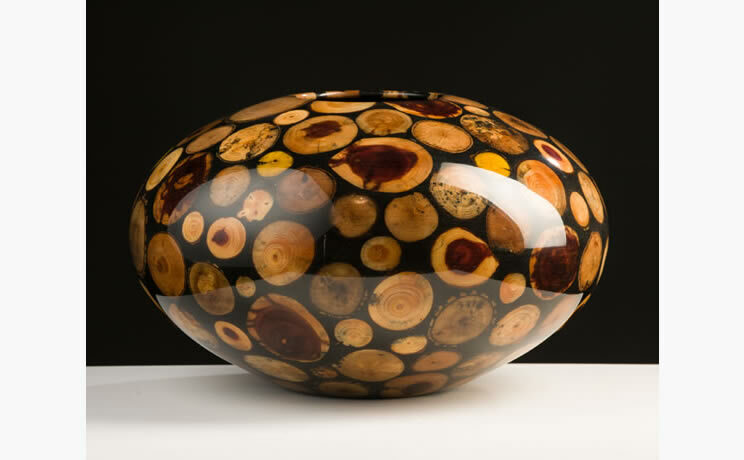 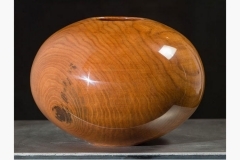 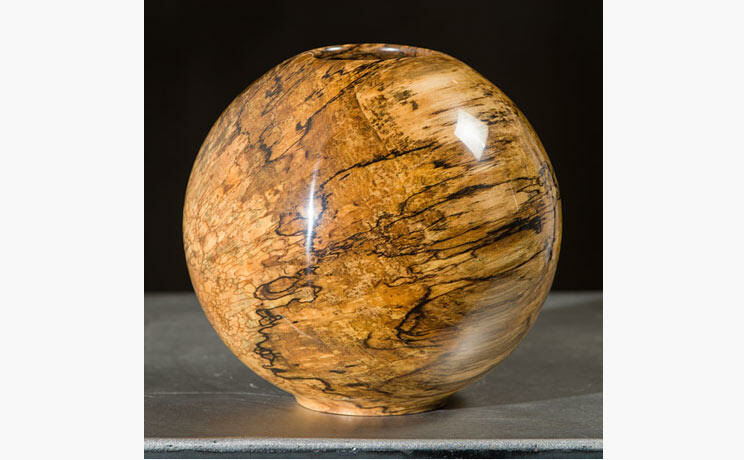 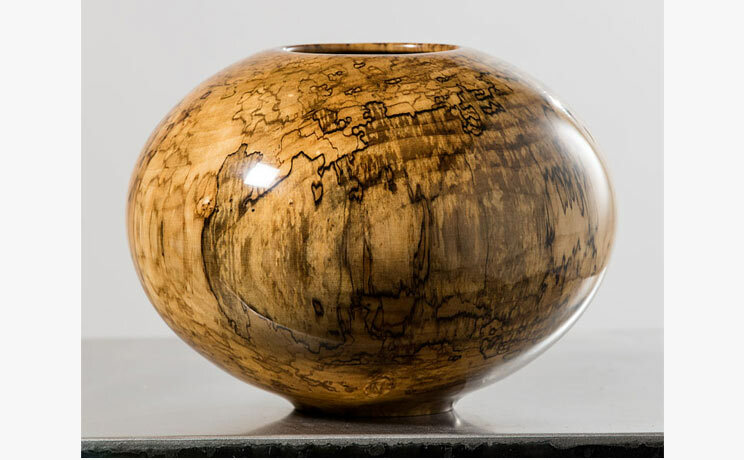 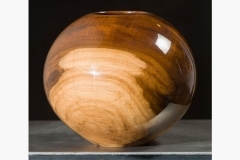 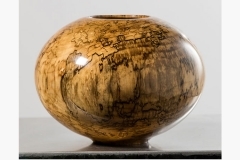 Over several years he started to work more and more with wood, much as his father Ed Moulthrop had and eventually left the law field to work as a full-time wood turner. 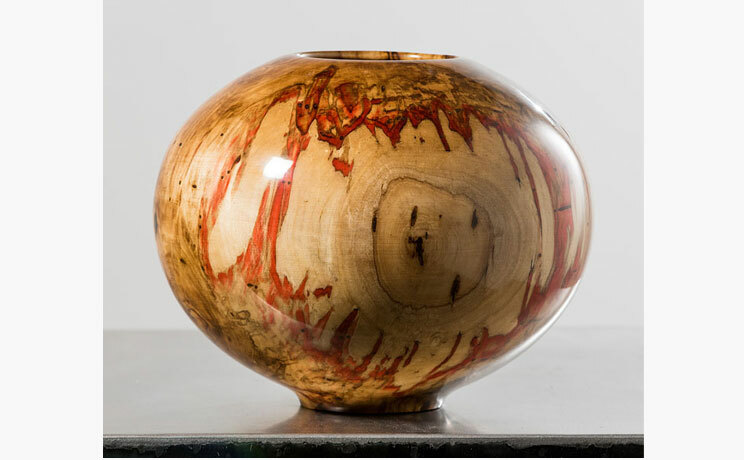 His work and the work of his father and son are included in the public collections of the Smithsonian Institution, Renwick Gallery of the National Museum of American Art in Washington, D.C.; The White House Collection of American Crafts, Clinton Presidential Library in Little Rock, AR; Los Angeles County Museum of Art; Mint Museum of Craft and Design in Charlotte, NC; Yale University Art Gallery; Arizona State University Art Museum; Carnegie Museum of Art in Pittsburgh, PA; as well as numerous others. 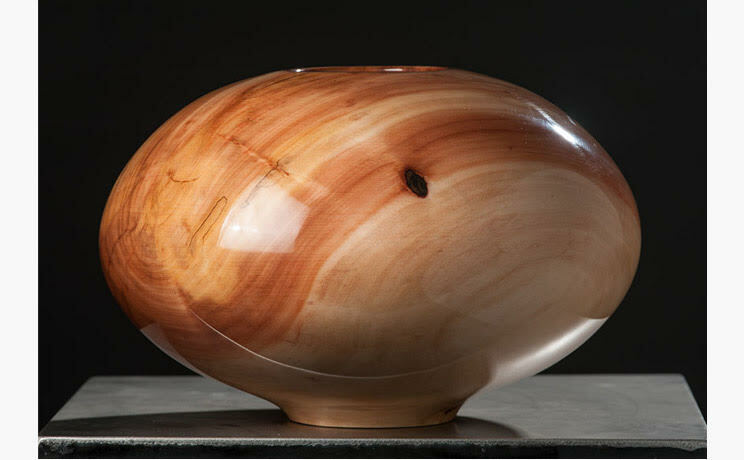 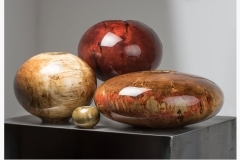 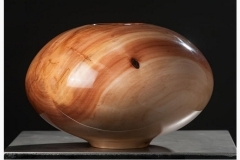 The renowned Moulthrop family of wood artists turn their attention to the Sonoran Desert in Spring of 2015 at the Desert Botanical Gardens in Phoenix. As inhabitants of America’s swampy Southeast, the Moulthrops work primarily with their region’s plant life. 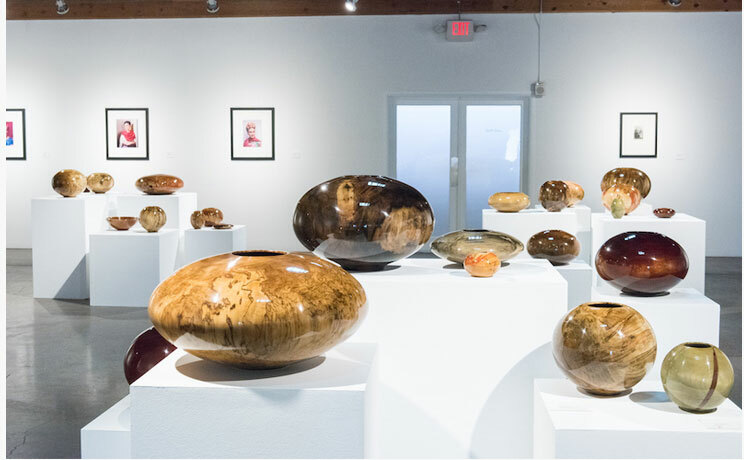 In Arizona Indigenous, Philip and Matt Moulthrop unveil new saguaros, mesquite, and paloverde wood vessels.